Home / Blog / How Would You Manufacture A Plastic Product? If you’re new to the world of plastic manufacturing, it stands to reason that there will be a few major questions you’ll want the answers to right out of the gate. And amongst the foremost of those will probably be – how would you manufacture a plastic product? Well, there are a few key processes to consider. Injection moulding and roto moulding are two of the most well-known, and each come with their own advantages and disadvantages. Both injection moulding and rotational moulding use separate, very specialised equipment to get the job done, so in order to more fully understand these pros and cons, we usually find that it helps to understand exactly how each process works. 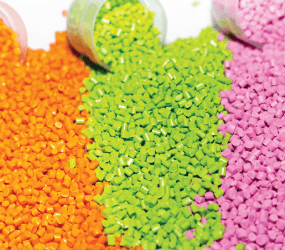 During injection moulding, plastic material granules are fed through a hopper into a heated barrel. Once it’s inside, the machinery uses specialised heater bands and the friction from a reciprocating screw barrel to melt the granules. This plastic is then fed into a nozzle, and injected (hence the name) into a specially made mould cavity. There, it hardens into the shape of the desired part, and finally removed. Sometimes this is simply the first production model of a long line of plastic products, or it might be simply the prototype for further design – a trial run paving the way for the final products to be fabricated in other, more expensive materials like aluminium and other metals. So, what alternatives are there to injection moulding? As far as the experts are concerned, roto-moulding is one of the most practical alternatives, especially for short product runs. How Does Roto Moulding Work? First of all, plastic material in its powder form (resin) is placed directly into the hollow mould – which are generally made from cast aluminium or fabricated from sheet steel. The mould is then closed, and rotated slowly on two axis while being gradually heated up. Once the plastic resin reaches its melting point, the polymer ‘lays up’ and spreads out to completely cover the inside of the mould. It’s then moved to a cooling station – when the material is cooled enough it’s removed from the mould, creating a perfectly formed plastic product. Don’t be put off though – even if you’re not sure rotomoulding is the most suitable process for your own plastic product, it’s always worth getting in touch with one of our team first to double check. These disadvantages can be quite specific to certain types of products, so you may well be surprised! We’ve got over 50 years of experience in the plastic manufacturing sector, so you can trust our experts to know what they’re talking about. Just take a look at some of our successful case studies for previous clients, or give us a call on 0161 765 2010 to see what we can do for you!